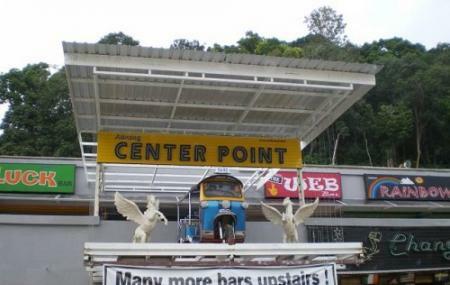 If you are in on this gorgeous island and looking for budget places to stay in Krabi, the Center Point is a great choice. Along with some good deals this hotel features good modern amenities. It lies within proximity of the happening places. The interiors are clean too. Absolute value for money is what the Center Point beckons. Add accommodation and hotels in Ao Nang that suit your budget including the most recommended ones like Haleeva Sunshine, Ibis Styles Krabi Ao Nang, Phu Pha Aonang Resort & Spa and Krabi Heritage Hotel. There are plenty of ready-to-book Ao Nang vacation packages available that will cover the major attractions, accommodation concerns including the prime one like how to reach Ao Nang. How popular is Center Point? People normally club together Divers Inn Steak House and Ao Nang Boat Noodle while planning their visit to Center Point. I love this place. It is located just beside Krabi beach. I dropped in to have my breakfast at 6.45 am. They served delicious burger & sausages. This outlet is open for 24*7. So you can drop in at anytime. It serves veg burgers too. So if you have any member in your group who doesn't have non veg, you don't need to worry about that! Loved their pork burger. Good location just in front of the beach. Also they have a very clean washroom. Good place for a quick bite. This place has the best burgers that I have had in my past month in Thailand. Probably the best restaurant in Ao Nang. I went for the cheeseburger with bacon and king fries and they were perfect. Also you get free bbq sauce, and the staff are so nice and helpful! I would recommend.